After a long period in the doldrums, Australian sculpture is making an impact in the salerooms. ”It has really taken off in the last 20 years,” says Paul Sumner from Mossgreen Auctions in Melbourne, whose gallery space is holding a Fine Australian Sculpture exhibition. 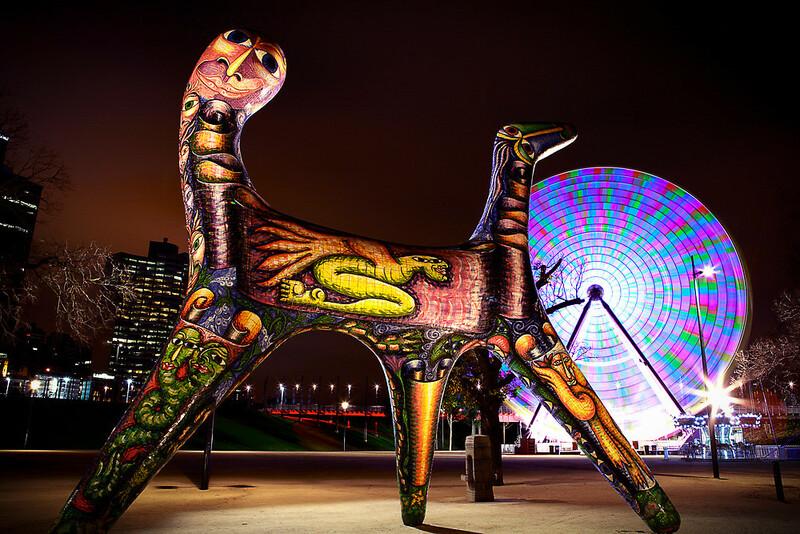 He credits the revival to events such as Sydney’s Sculpture by the Sea and to the growth of public works of sculpture throughout Melbourne. Some major developments are granted approval on the proviso that public works of art are included. Suddenly people have decided sculpture is cool, especially as a feature of their modernist glass-and-steel homes. The demand now is for medium to large freestanding works, suitable for indoors or courtyards. The artists featured at the Mossgreen Gallery are Antonio Balletta, Deborah Halpern, Inge King, Robert Klippel, Oliffe Richmond, Andrew Rogers and Peter Schipperheyn. There’s a mix of the old and the new and all works are for sale. Some, including Robert Klippel’s bronze RK 663, made in 1988 are monumental in scale. It’s 244 centimetres high and priced at $100,000. Inge King’s Silent Gong, 152 centimetres tall, is priced at $220,000. The classics are most likely to appear at auction, with Klippel, King and Clement Meadmore – not included in the Mossgreen exhibition – regular performers on the secondary market. Sumner places these artists in the same blue-chip category as painters such as Boyd, Brack, Tucker and Nolan, yet he considers their work undervalued at auction. Major pieces of sculpture sell for around $100,000 or less when works on flat canvas sell for more than a million. Work by Meadmore has changed hands privately for about $500,000, but you can still pick up his sculpture for far less at auction. This is an investment opportunity, says Sumner, who expects the disparity to balance out in time. Meadmore is perhaps the best known of any Australian-born sculptor. He grew up in Melbourne, studied aeronautical engineering at RMIT, then worked as an industrial designer before moving to New York in 1963. His giant Awakening sculpture on St James Square in Bourke Street has been a Melbourne landmark since 1969. The popularity of these artists has been a long time coming. The Recent Australian Sculpture exhibition was assembled by the National Gallery of Victoria (NGV) for showing in various state capitals during 1964-65. ”The associated arts of painting and architecture are both in depressed phases, and sculpture, whose health and vigour are shown in this exhibition, should now come into its own,” curator Gordon Thomson writes in the 49-year-old catalogue. Klippel, King and Meadmore were all part of this landmark exhibition. Inge King could well be the next big thing, if you can say that about an artist now in her early 90s. She is well represented in the public spaces of Melbourne, with work displayed at the Arts Centre in St Kilda Road, Southbank Promenade and the Eastern Freeway at Doncaster, yet she is a rarity on the secondary market, where Sumner says her work is especially undervalued. 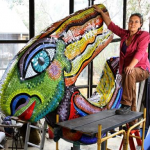 Deborah Halpern, born in 1957, is one of the younger artists exhibited but possibly the best known. 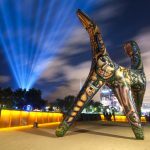 Her 1988 work Angel stood in the moat outside the NGV until it was relocated to a position next to the Ian Potter Gallery on the banks of the Yarra. It’s appropriate that a 2012 work, Puff, was the first to be sold by Mossgreen. It was snapped up for a healthy $56,000 in the first few days. The Fine Australian Sculpture exhibition is on at the Mossgreen Gallery at 310 Toorak Road, South Yarra, until April 6. © 2015 The Age| This article first appeared in The Age on 20 March 2013. Copyright © 2016 Deborah Halpern | All Rights Reserved.